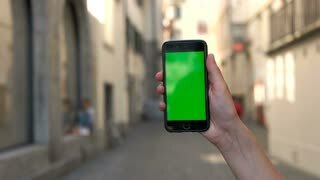 Search Results for "green screen building"
Engineer using Tablet Computer with Green Screen inside Building Under Construction. Great for Mockup usage. Professional Female Engineer Designs 3D Turbine/ Engine For a Big Industrial Company, Her Second Monitor Shows Mock-up Green Screen Computer. Out of the Office Window Big Factory is Seen. Shot on RED EPIC-W 8K Helium Cinema Camera. Chief Engineer Works on His Computer with Mock-up Green Screen. Inside of the Factory is Seen From Her Office Window. Shot on RED EPIC-W 8K Helium Cinema Camera. 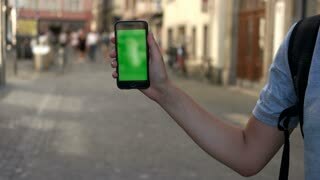 Male hands holding black smart phone with green screen on city street background. Big screen. Chroma key. Close up. Close-up Shot of the Office Desk with Green Mock-up Screen Personal Computer Standing on it. Modern Stylish Room with a Big City Business District View. A billboard with a green screen on a background of city traffic with long exposure. Time Lapse. 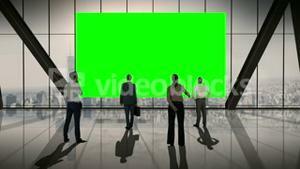 Motion of green screen for your ad beside of mall entrance with 4k resolution.